Madison Pike/KY-17 to Howard Litzler Road - Property is located on the Left via a Private Drive. Unique Investment Property-Desirable Location! 6.211 Acres! 4 Townhomes & Foundation Poured-Ready for Another Set! Private Setting if Desired or w Zoning Change-Could be used for Commercial Purposes w Roadside Frontage in Popular Area that is Growing by Leaps & Bounds! 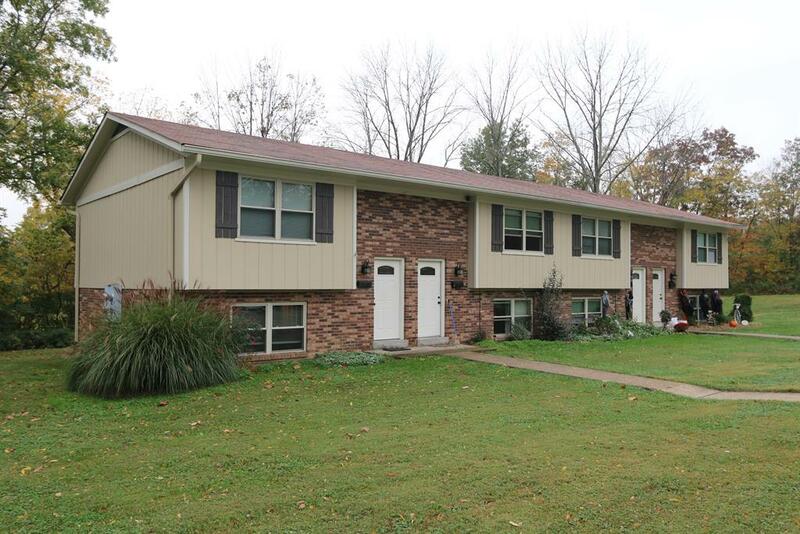 Townhomes-1 Unit is Completely Renovated! All Units have New Front Doors, Windows, Ext Paint! 3 w Newer Mechanics! Rare Find! NOTE: This property was sold on 6/6/2017 and is no longer available. The details listed below are believed accurate to the date of the sale and are subject to change. Lot description: 270, 551 sq. ft.